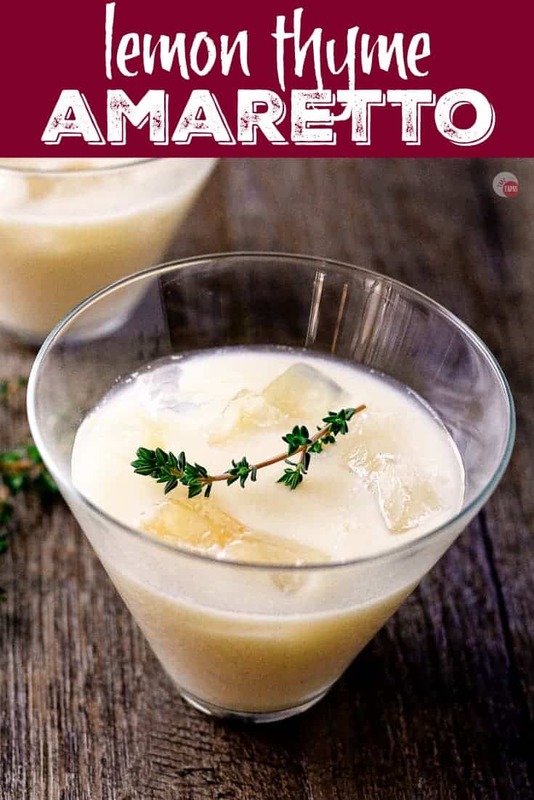 This bright and floral Lemon Thyme Amaretto cocktail is perfect for any season! Bright limoncello mixed with the caramel notes of amaretto and floral fresh thyme. Let’s talk about a specific liqueur that I am currently crushing on. Cream liqueurs. And not just the usual suspects like Bailey’s Irish Cream and Kahlua Coffee Liqueur, but Limoncello cream liqueur. Fabrizia Limoncello Cream Liqueur – in this awesome cocktail! I need to try the Kerrygold one because I love their butter so much! The best thing about cream liqueurs is that they make the best adult milkshakes! And they add a touch of richness to any cocktail that they are in. I make a mean White Russian Shot with the Patron XO coffee liqueur that you must try! 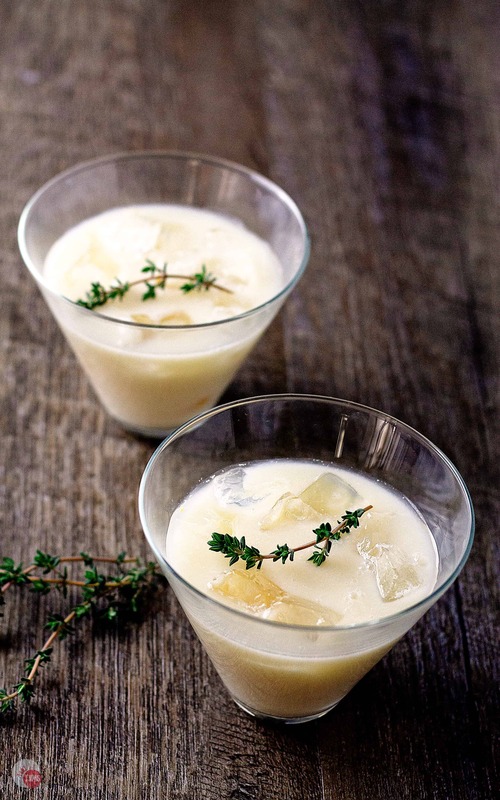 This recipe contains Fabrizia Limoncello Cream Liqueur, which was provided to me by Fabrizia Spirits. The recipe and all opinions expressed here are my own. Just take me to the Lemon Thyme Amaretto Recipe Already! If you’d rather skip my (very helpful, I think) tips and tricks, essential cooking info, and similar recipe ideas – and get straight to this delicious easy Lemon Thyme Amaretto recipe – simply scroll to the bottom of the page where you can find the printable recipe card. How do you use cream liqueurs? The best use of cream liqueurs comes in dessert cocktails. Not only do they make the best alcoholic milkshakes but they create a decadent and luxurious dessert in the form of a cocktail. Most people like to finish their meal with dessert and coffee, others with a cheese plate and a sweet wine like Port. I prefer a cocktail, or nightcap, to end my meal experience and evening so a cocktail made with a cream liqueur is always welcome. and at the holidays, Eggnog. Once I have had a taste Fabrizia’s Limoncello Cream Liqueur, I have been dreaming of making more cocktails with it. 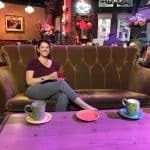 But because I am not a coffee drinker, I had to start thinking outside the box. Or the liquor cabinet! One of my favorite liquors is amaretto. I use it in my Cherry Amaretto Limeade and my Sparkling Amaretto Sour cocktail. Know what else goes with amaretto? Lemon!!! The lemon in this Lemon Thyme Amaretto is bright but not super tart, and the amaretto is buttery with caramel notes too. But to make it special I bring in a floral component. Thyme. Fresh thyme to be exact! Q: Does cream liqueur go bad? A: Yes it can! It has dairy in it so make sure that you smell it before you drink it. Q: Does cream liqueur need to be refrigerated? A: Once you open it you need to keep it refrigerated. But only for 6 months! Q: What is cream liqueur made from? A: It is a mixture of dairy cream and a flavored liquor. In this case, it is limoncello and cream. Q: Can I use dried thyme? A: You can but you won’t get as much flavor from it. If you need to use dried thyme, let it sit in the liqueurs longer. The best way to get the floral notes to really come through is to use fresh thyme. You can strip the leaves off the sprigs or you can leave them on. I like to throw the sprigs with the leaves attached to the cocktail shaker with the amaretto and limoncello cream liqueur and give it a few shakes. The agitation releases the oils from the thyme leaves. You can also rub the leaves to release the oils too. If you want to make the mixture a little bit ahead of time, mix the liquors and the thyme sprigs and let sit. The thyme will infuse into the liquors the longer it sits and make it even more floral. All of these three together make an amazing light, yet luxurious cocktail that is perfect for the end of the meal or the start of one. 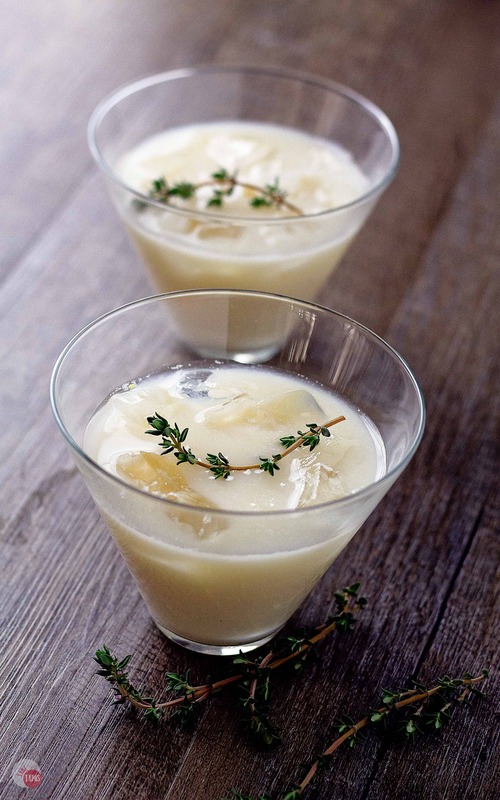 Other great cream liqueur recipes like this Lemon Thyme Amaretto to try! 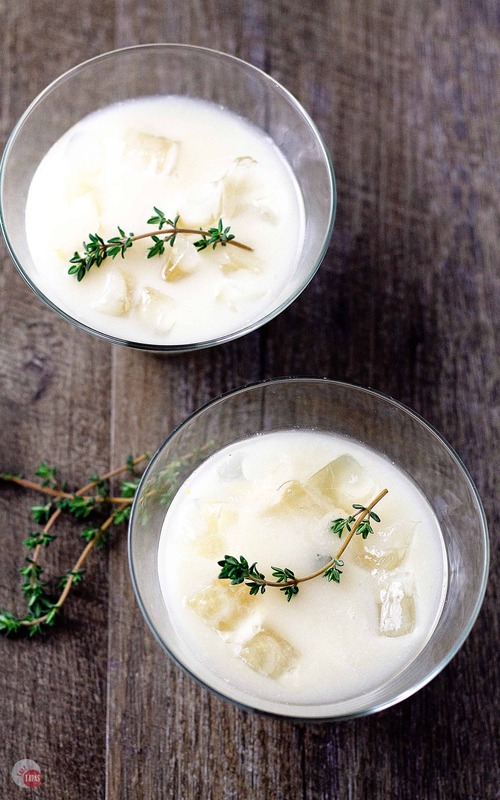 If you love this Lemon Thyme Amaretto Recipe as much as I do, please write a five-star review in the comment section below (or on Pinterest with the “tried it” button – you can now add pictures into reviews, too! ), and be sure to help me share on facebook! This bright and floral Lemon Thyme Amaretto cocktail is perfect for any season! Bright limoncello mixed with the caramel notes of amaretto and floral thyme. 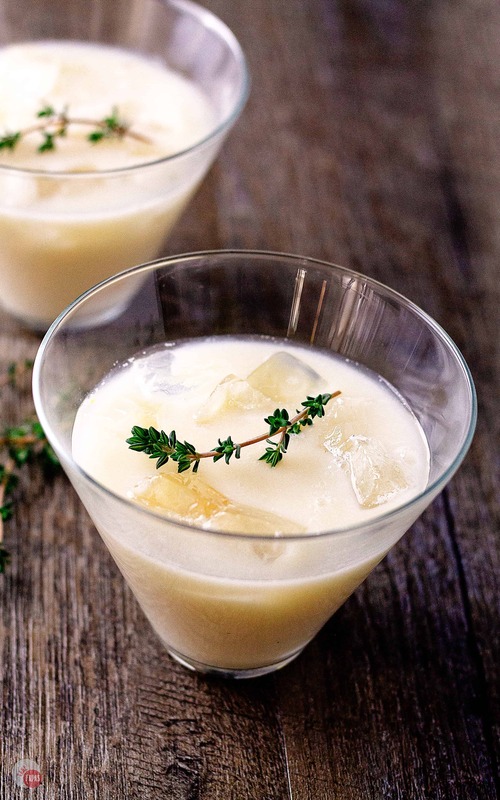 In a cocktail shaker, combine the limoncello cream liqueur, amaretto, and fresh thyme. Shake for 1 minute to infuse the thyme into the liqueurs. Pour limoncello and amaretto mixture over the ice. Mmm, this sounds refreshing! This is definitely a new cream liquor to me. Thanks for this recipe.